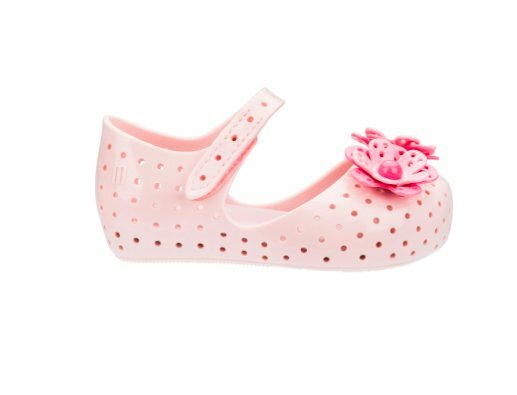 Girls light pink shoes with two-toned pink flower embellishments. Soft cushioned inner soles and an adjustable Velcro strap for comfort. The perforated surface makes it a perfect transeasonal shoe. Can be worn on its own or over leggings/knee high socks. Made from Melflex, a 100% recyclable non-toxic PVC. 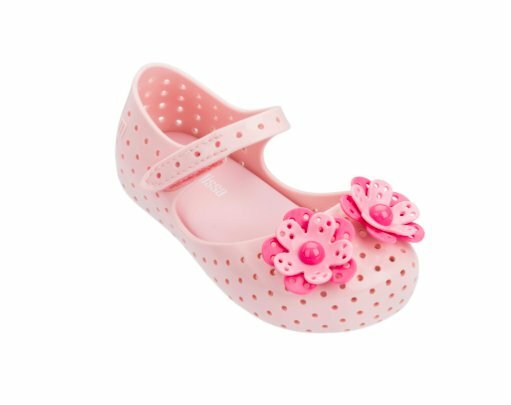 Designed to mold to your little one's feet from the first wear.